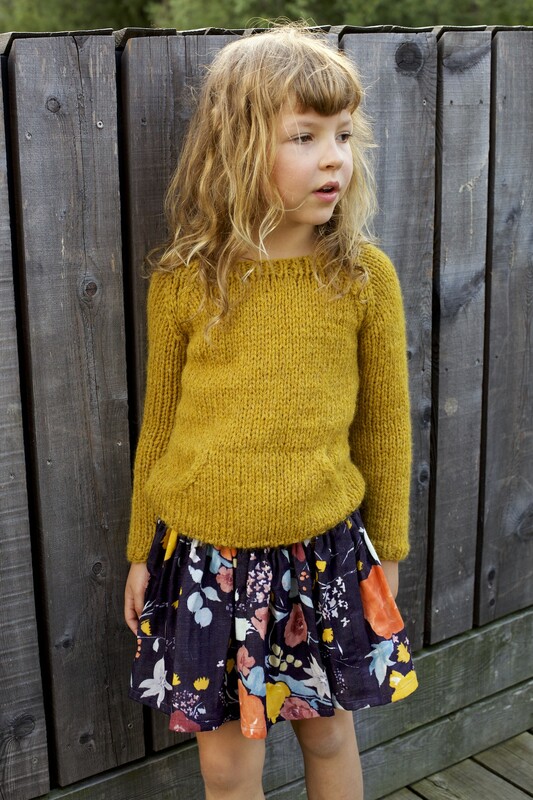 The Quokka sweater for kids is our very first knitting pattern! Hooray hooray. It feels like I’ve just launched my own business and this is my very first product launch. But as you know that’s not the case. By introducing this first knitting pattern comes a lot of info. Please read everything in detail as I think and hope that you will like what I’ve been working on the last 1,5 month. If you can knit of course. Otherwise, I think it might the perfect moment to give it a try. I think many of you don’t know that I’ve been knitting way longer than I’ve been sewing. When I started Compagnie M. I kind of stopped knitting but about 2 years ago, I picked up my hobby again. Especially when we travel, I love to knit. I can knit on a campsite, in the car,… It’s the perfect holiday hobby. So this summer I got the idea to design a first Compagnie M. knitting pattern. By designing sewing patterns, I learned a lot! I always tried to work towards a perfect fit. While knitting I was sometimes frustrated. My gauge never matched the example in the pattern. So I always had to start recalculating the whole pattern, hoping that the result would turn out perfect. Especially since knitting takes more time then sewing, I hate it when the fit if not ok once I try on my sweater. Apart from the fit issues, I also felt restricted by having to pick the same needle size. Why can’t I use all the other beautiful yarns in the shops for the same project? So many frustrations, but then all the sudden I saw an opportunity! I started wondering: why can’t I just set up a system where you can calculate a customised pattern that is not restricted? Not by an example gauge, not by a specific needle size and not by standard kids measurements! Sounds like heaven for any knitter, right? I was thinking: When you make a gauge and you measure your model (or yourself), it can’t be that difficult to have a pattern calculator that generates the pattern automatically? It’s always so easy to ‘invent’ something like this, but when this is in my mind, I just have to give it a try. That’s soooooo typically me. So on the 1st of September, I started calculating, calculating and calculating! I think it’s been a long time since my brain had to work this hard but after 2 weeks, my system worked! I only needed 4 figures to generate a custom fit pattern. When you have the number of stitches and rows of your gauge and the chest and body height sizes of your model, you have everything you need to let the system do the rest. You can select your favourite yarn and decide on the needle size! That’s right! This system has so many advantages. You can be so creative when it comes to selecting yarns. You can even combine different ones! When your gauge doesn’t match mine, that’s no problem at all. ( In fact, I even don’t mention one in my pattern! ) This means you never have to recalculate Compagnie M. knitting patterns. Ideal for beginners! When you have a lot of time, you can select a fine yarn for small needles. Do you want a quick knitting project? Well…. just pick larger needles. As long as the needle size matches the look at the design and the size you knit that’s fine. You can see this in the presentation of my first knitting pattern. 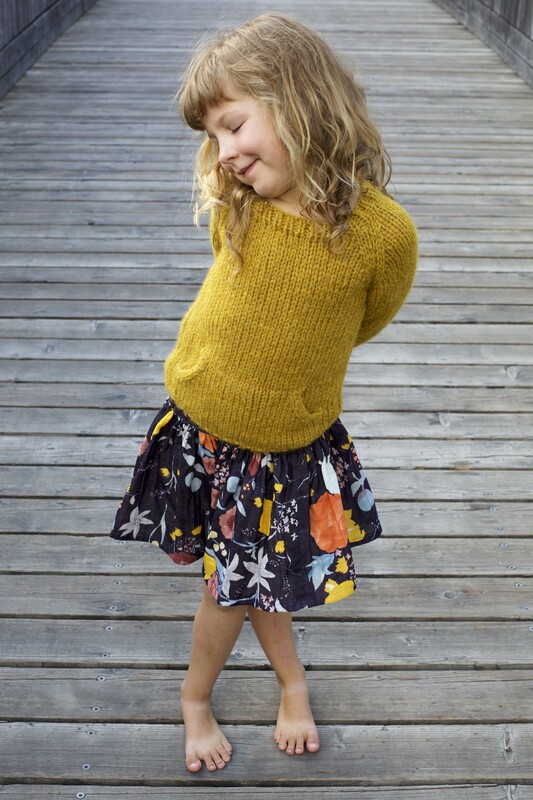 The yellow Quokka sweater is knitted with 2 yarns of Rowan with needle size 10. A quick project! My mother tested the pattern for me with smaller needles. I think it was size 4 with a totally different yarn. 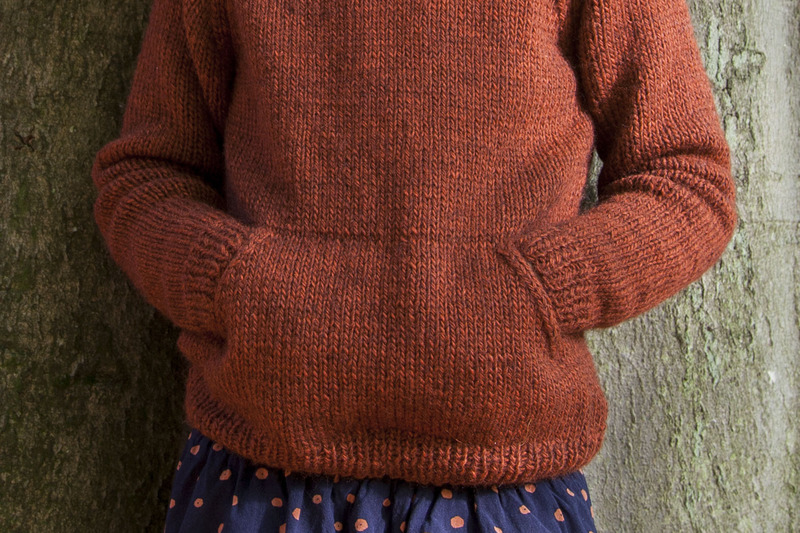 I will present both example sweaters more in detail, the coming days! So keep an eye on the blog! There’s not such a thing as a standard child! Since we all sew, I don’t have to tell you this: It’s hard to find a kids that matches the standard measurements of a sizing chart. Mine have the chest width of a 6yo kid, but are 128cm tall like an average 8yo child … With this new system, that’s not a problem at all. As the generator works with the sizes you measure, every kid will benefit from it. No more baggy or short sweaters, too long sleeves and so on and so on…. The pattern calculator calculates the perfect pattern for your kid, without you having to recalculate everything. Hooray! Of course it’s SUPER important that you measure accurately! Never guess or suppose… Measuring and remeasuring is the way to go. :) Not only for the measurements of your child but also for the gauge. The more time and effort you put in this first step, the more satisfying the result will be. When you purchase a Compagnie M. knitting pattern, you get access to the pattern generator and a blank pattern. You calculate the values, add them to the pattern and start knitting. 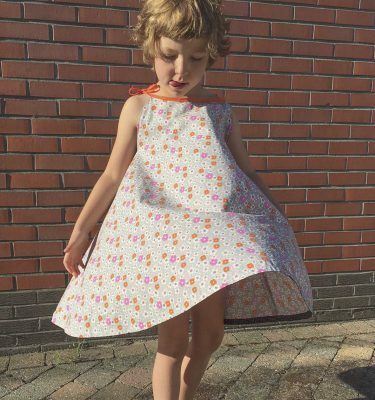 When you purchase the pattern, you receive the English and Dutch instructions. You can find the link to the calculator and the pattern in your purchase / confirmation email or under your account when you log in on our website. Do note, that I’ve set up this system in centimeters. Apart from the measurements you insert and 4 results, everything is calculated in rows and stitches, so I think it’s really feasible for US knitters to use my system. I might change this in the future, but at the moment just know that the units are European. I will present my 2 sweater in detail the coming days, but I do feel like saying something about my first design. As you can see the Quokka is a raglan sweater with kangaroo pocket. The pocket in integrated in the front panel, not attached in a 2nd stage. 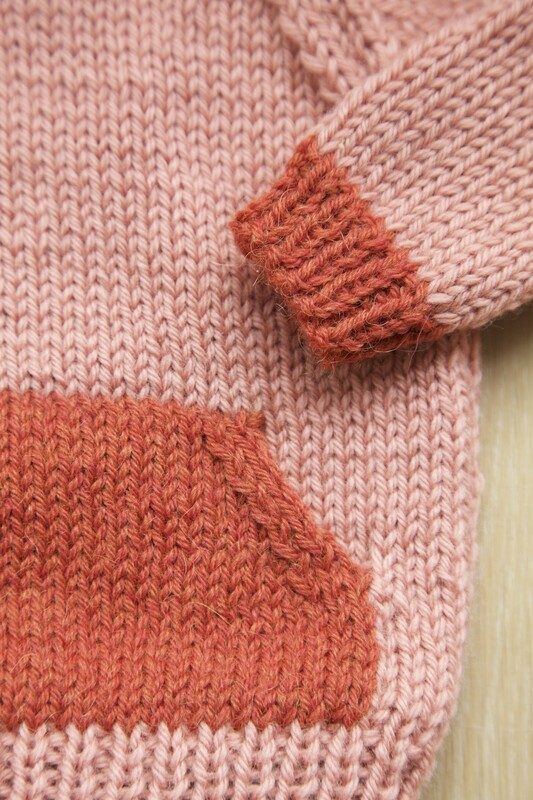 The sweater is knit from the bottom up and assembled with a mattress stitch after it’s finished. I think it’s a very versatile design. It’s suitable for boys and girls with chest measurements between 44cm and 84cm! The length restrictions are set from 62cm till 164cm. This means that it’s suitable for kids from about 3months till 14 year old. In a later stage I will also launch the Quokka sweater for women and men. It’s just a matter of time as the testers are already knitting their test sweaters for me. After the first test I found out that in some cases (15% of the testers faced this problem) the yarn is not suitable for this project. Specific gauge results caused problems at the neckline. That’s why in the end I had to restrict the yarn selection a bit. BUT you can still work with different needles sizes or combine yarn. I think about 85% of the yarns can be selected for this project. So that’s not too bad at all, right? And I made a very clear explanation in the instructions on how to select your yarn. So no worries. It might sound a bit difficult now, but in fact it’s super easy. Whe you divide the number of rows of your gauge by the number of stitches, your result should be in a certain zone. That’s it! But I do feel like mentioning it before you purchase the pattern. I will not face this issue with my next pattern with set in sleeves. So yes, I will work on a 2nd knitting pattern. The cardigan is ready. It’s going to be tested pretty soon. Keep on eye on my Facebookpage and new Instagram account (@compagniemknits) as I will need some extra testers for the bigger sizes. I hope that I didn’t forget to mention anything. When you do have questions, feel free to leave a comment. I will keep an eye on my blog the coming hours and days. For those that think I don’t sew anymore: well, in fact I am in a knitting mood. I can’t deny that. At the moment it’s something new and challenging. That’s what I like: pushing myself to develop new products is a part of who I am. I’m a product developer, can you remember? But don’t be afraid when you don’t knit: I’m sure that in the future I will combine my both passions into bigger projects! In the meanwhile it might be a good idea to start knitting when you didn’t try it yet? When my 6yo Lisa can do it, I’m sure you can too! I have been thinking on how to communicate my knitting projects and keep you informed on behind the scene stuff. 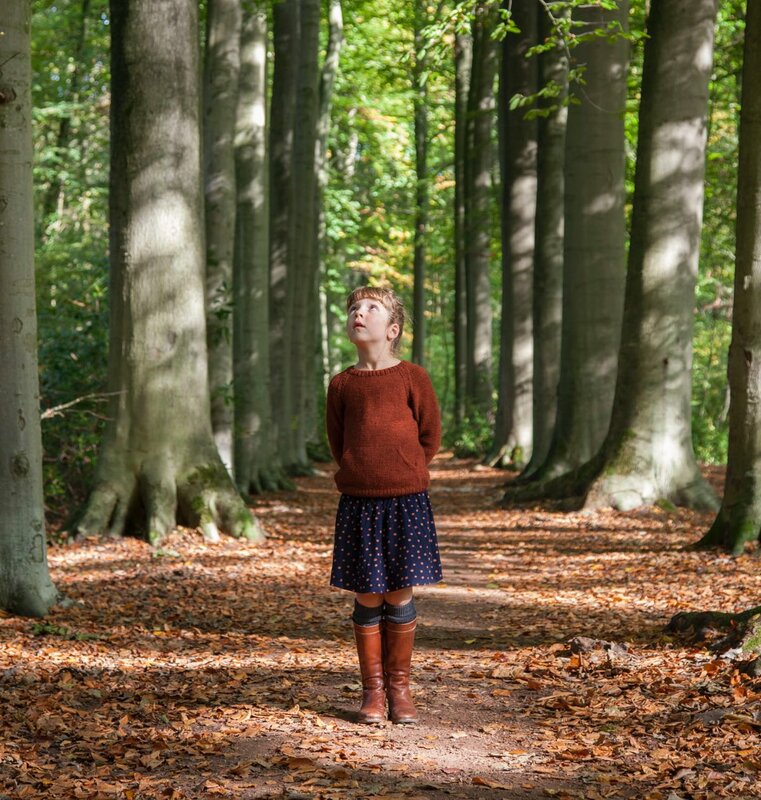 That’s why I’ve set up a new Instagram account: @compagniemknits is the place to be when you love knitting projects or when you just feel like following my 2nd adventure! Now that was a rather large blogpost, right? Thanks for reading all the way till the end! Next week the testers will show their results in a blog tour. Can’t wait to see what you think of their hard work! If you are already convinced to try my new pattern and the new knitting system? Hop over to the shop! 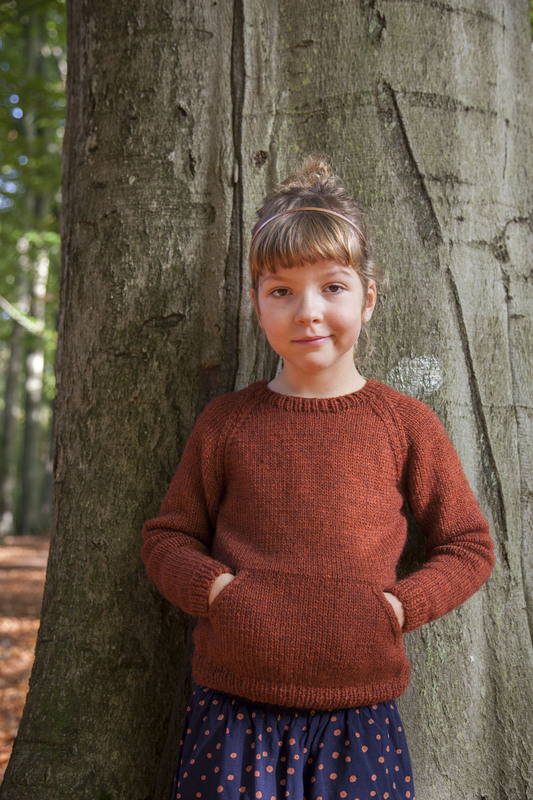 The Quokka knitting pattern is excluded from the 2+1 action that runs on sewing patterns but you do get a 10% reduction with the code QUOKKA10 (till the 5th f November). Ik ben zo blij dat je mee op de kar springt! Merci voor alle steun die ik door de jaren van je kreeg Anke! 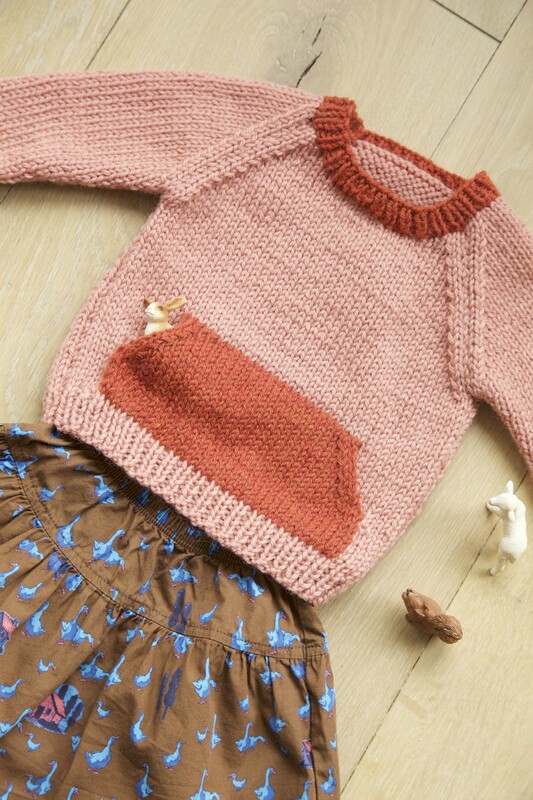 I’ve wanted to learn to knit for…well, forever! I have tons of yarn because sometimes I see it and feel it and can’t resist and sometimes I get it at estate sales or thrift shops. Since I’ve seen for over 50 years it just reminds me of fabric in a Wierd way. I think this pattern in the adult size just may make me finally learn. I also have a knitting machine still in the box but that’s a whole other story! LOL! By the way…those cute bare feet with the sandal tan lines just made me smile! Oh you should definitely give it a try! I’m thinking of making a super simple pattern for people that just learn how to knit. I’ll keep you posted! And yes, I love the feet too. I was thinking: shall I Photoshop them? But I’m glad I didn’t! 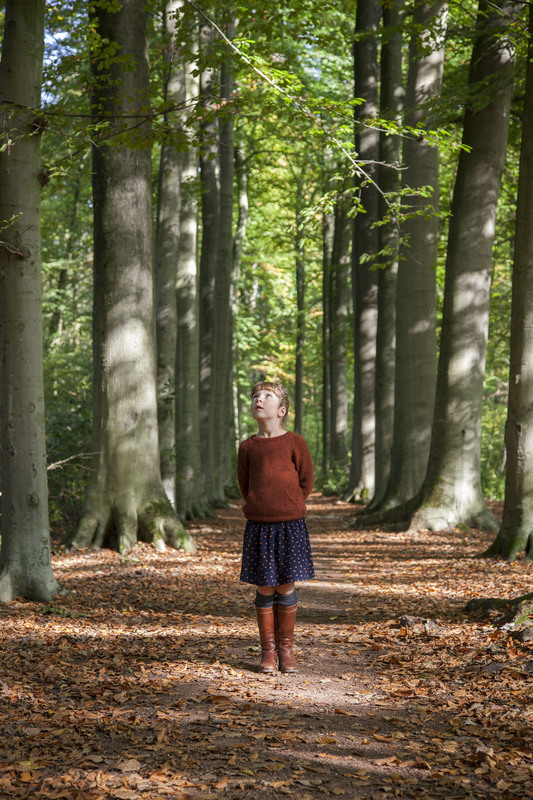 Ooh, het kriebelt hier toch ook om nog een brei-poging te doen…Sjaals en mutsen geen probleem, maar truien ed blijven hier meestal onafgewerkt omdat dat meerderen/minderen etc nogal eens fout gaat. Is de uitleg beginnersproof? Een heel slim idee Marteling, en dat de uitwerking óók nog gelukt is. Chapeau! Veel succes met deze nieuwe loot aan de stam! Oh tuurlijk: de wol moet tussen 0,68 en 0,78 uitkomen. Ik zal het ergens vermelden! Dat is het resultaat als je het aantal steken deelt door het aantal rijen van je proeflapje dat 10 op 10cm is. Goeie vraag! Supertrui marte! Een heel eenvoudig patroon maar met een ingenieus systeem erachter! Meestal vind ik een patroon wel mooi maar heb dan net niet de juiste wol ervoor liggen. En met jouw systeem is dit geen probleem! De pasvorm vind ik ook super: mooi slank zonder te nauw te zijn. Terrific job and great pattern. For those who doubt, don’t and just start to knit!